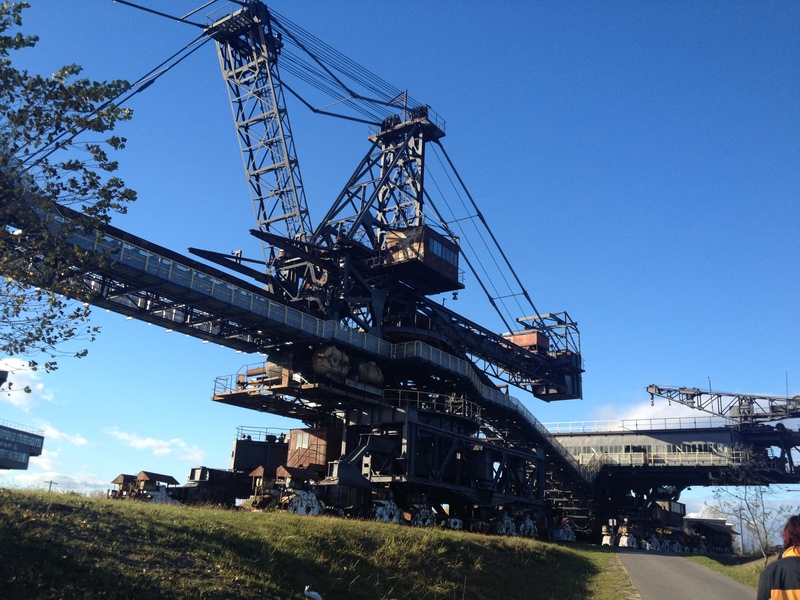 The second field trip took the group to Saxony-Anhalt, a county South of Berlin by about an hour and a half. 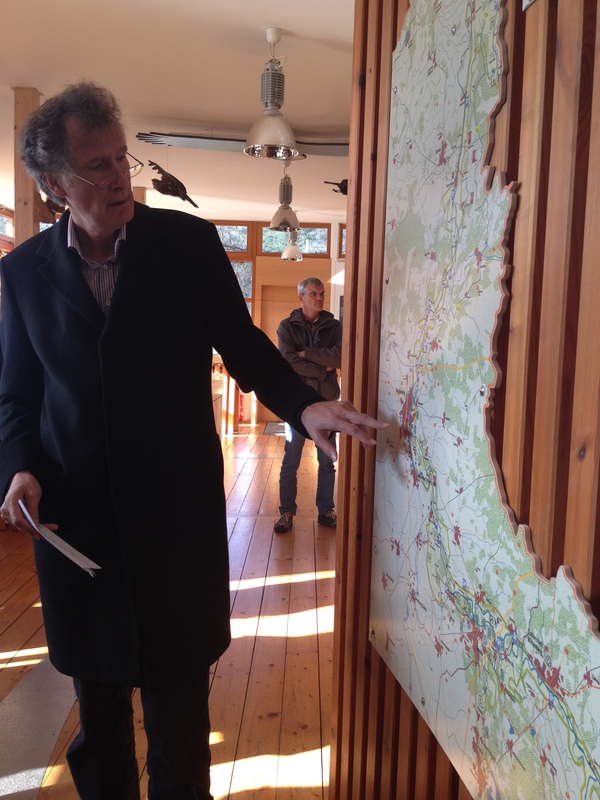 The first visit was a whistle-stop appointment with the Federal Environment Agency in Dessau. 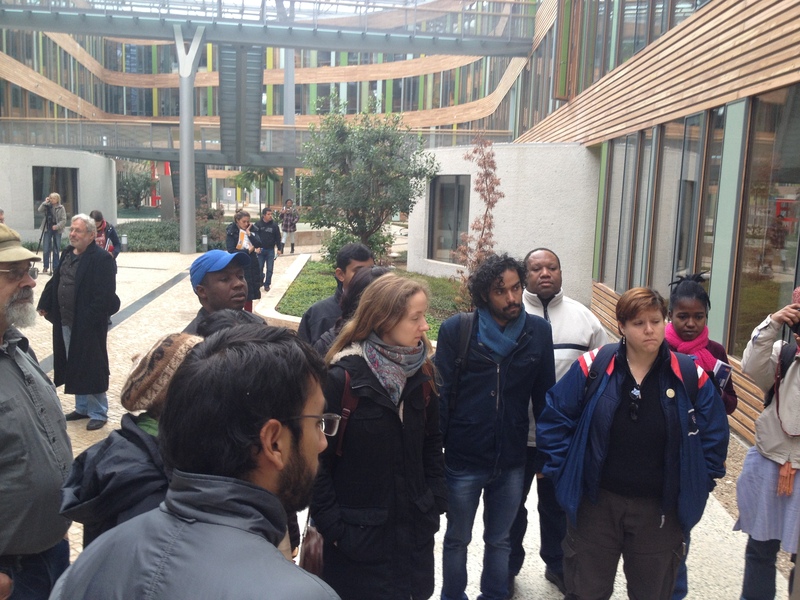 Without even hearing about the work they do here, the group was already impressed by the building it is housed in. 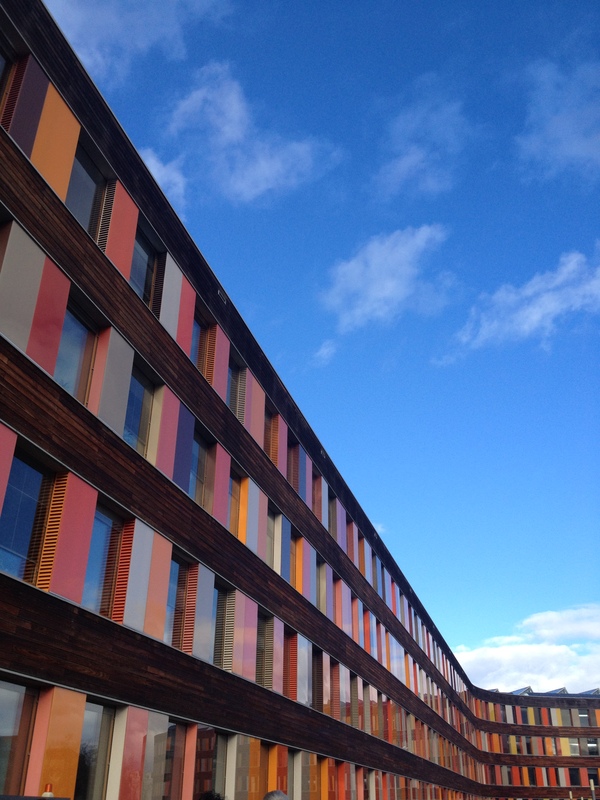 Completed in 2005, the building can boast no air conditioning, solar panels, thoughtful interior decorating e.g. relaxing flows of water & colour coded offices, and a geo thermal heat exchanger. The group was given a half hour talk on ESD, within which the importance of combined learning was stressed – e.g. the meeting of so many cultures at Rio+20, and free range chicken farming combined with solar panels, creating a safe place to hide from predators as well as producing renewable energy. The group quickly moved on to Biospharenreservat Mittelelbe, a type of nature reserve whose aim is to work towards a balance of natural and cultural needs within their environment. They work to preserve unique biospheres and to serve as models of sustainable development. The reserve is a government agency, but also benefits from private support e.g. from WWF. Here, the group were told of the work done to push back dykes and rebuild them, creating additional floodplains and improve living conditions for local families of beavers. 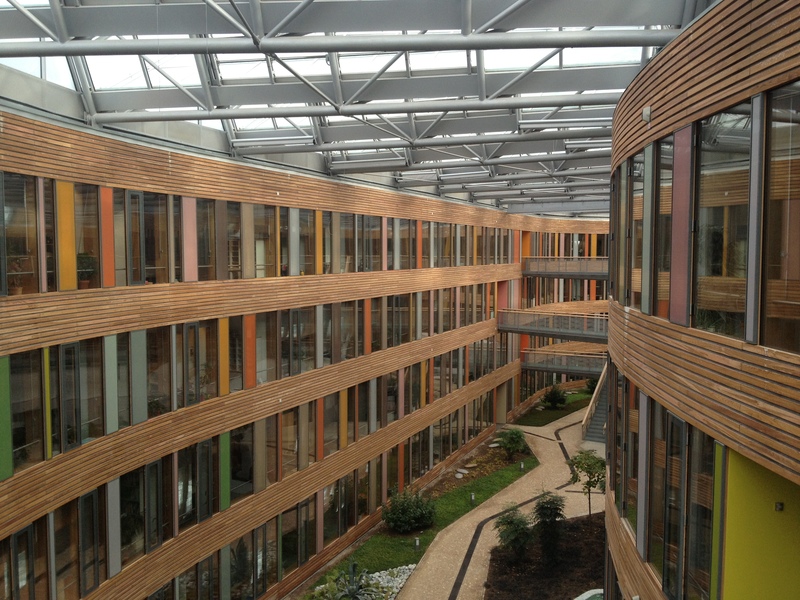 The inside of the Federal Environment Agency, Dessau. Lunch was taken at Ferropolis, before a guided tour of the area. 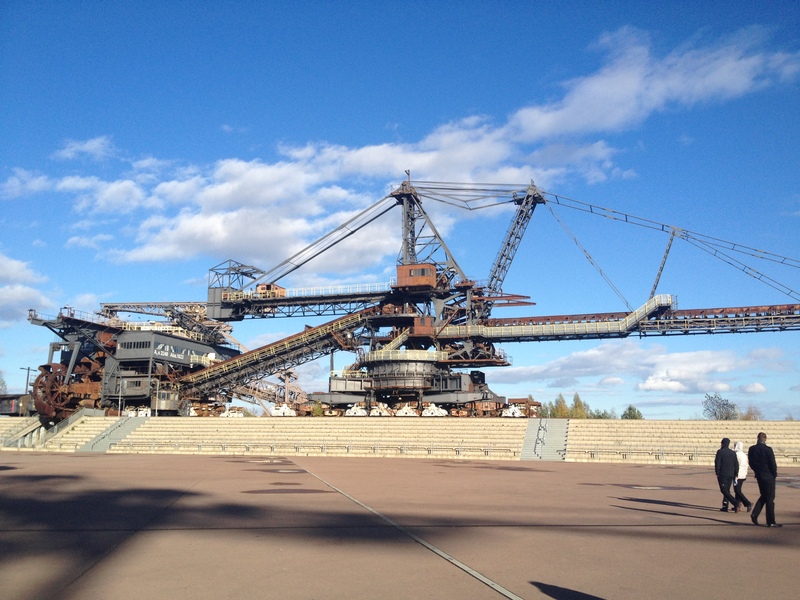 ‘Ferropolis’ means City of Iron, and displays five large mining machines, in use up until 1991. A lake surrounds the area, filling the space once used for excavation, and encompasses 540 hectares, running 20m deep. 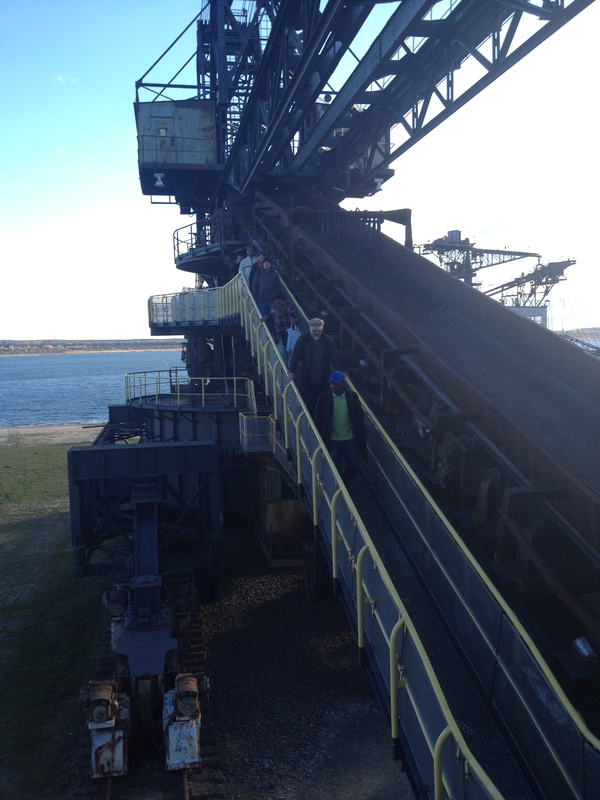 The group were given a chance to scale one of the machines, and were shown how machinery now non-operational can be re-shaped to be of continued use. The area now also boasts an entertainment space, holding concerts to bring the community together and make use of redundant space. The final visit of the day was to a BookTown (although the group did not originally know this! and believed they were only stopping for coffee.) A BookTown is essentially a town (or village) which focuses everyday life around second hand books. This takes the form of numerous second hand book shops, open for as much of the day as possible, author visits and readings, and books also available in pubs and schools, so as many people can access reading material as possible. 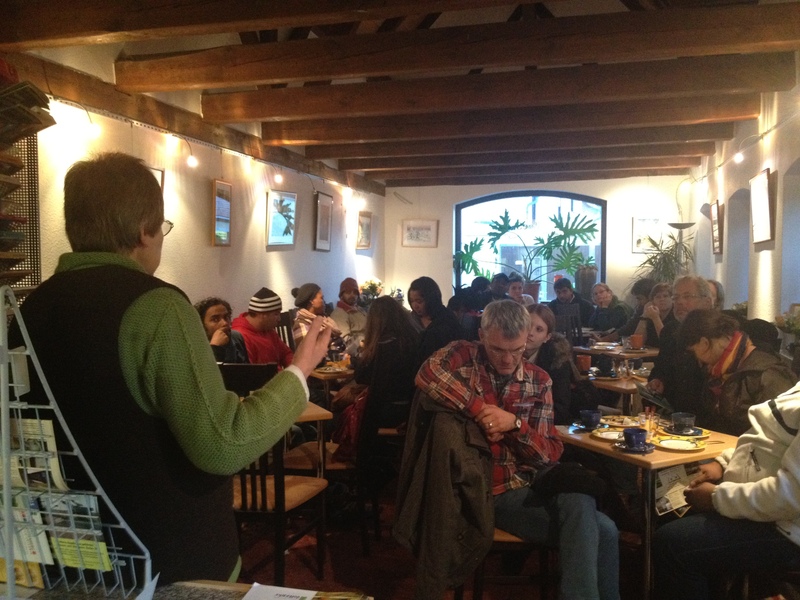 The owner gave an inspiring talk on how she took it upon herself to set up the BookTown, inspired by a town in Wales. And following its success, she recently travelled to Romania to see other inspirational projects, created from the ground up. She told the group that failure was not the end of an idea, merely a building block for success, hoping to give them inspiration for their innovation projects and future ideas. This field trip was full of energy, encouraged by the short stopovers at each site and knowledgeable speakers on the varied topics. The day had something for everyone, and the group all came away having seen and learnt something new. Dieser Beitrag wurde unter 2012 | ESD LT, English abgelegt und mit ESD, Field Trip verschlagwortet. Setze ein Lesezeichen auf den Permalink.